Bill Pay - it's quick and easy to pay your bills! 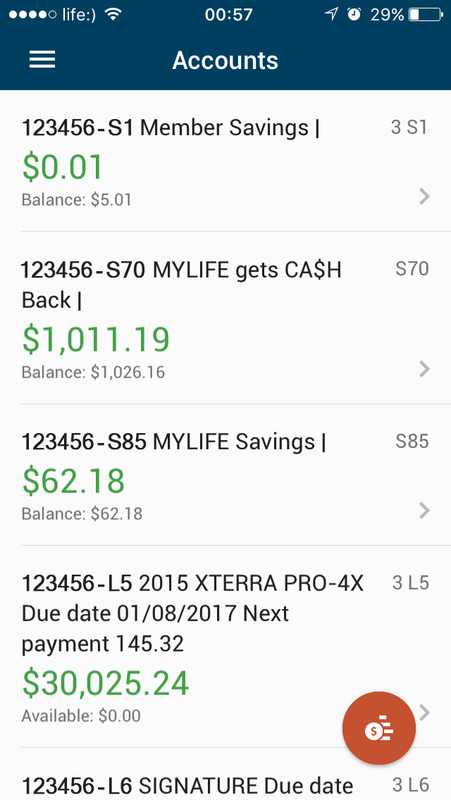 Deposit checks using your mobile device's camera with just a few clicks! See all account balances in one convenient location. The simplest way to deposit checks. EdgeDeposit is a secure, online service that allows you to deposit checks into eligible FinancialEdge accounts with your mobile device. 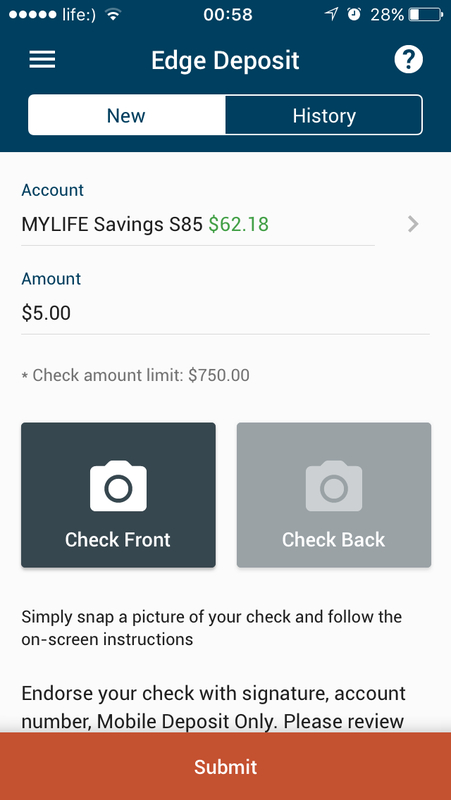 With EdgeDeposit, you can safely deposit checks from home, work, or anywhere else you have access to an iOS or Android device with a camera and a connection to the Internet. This convenient, 24/7 service helps save time by eliminating the wait you might encounter at an ATM or branch. First, make sure you're enrolled in Online Banking and then download our free EdgeMobile available in the Apple App Store (iPhone) or the Google Play store (Android). Select EdgeDeposit from the main menu. Enter the deposit amount of the check. 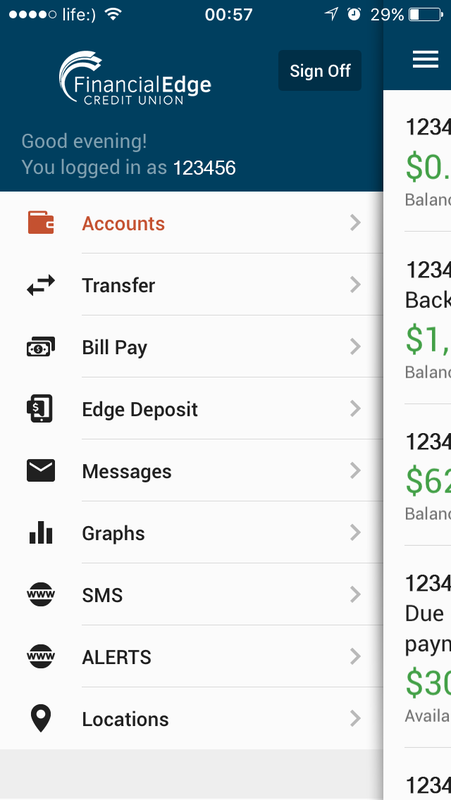 Now you can send money via PayPal to virtually anyone, safely and securely within the EdgeMobile app. All you need is their email address or mobile phone number! You never have to exchange personal financial account information.